Relationships between The Voice coaches and contestants are special. 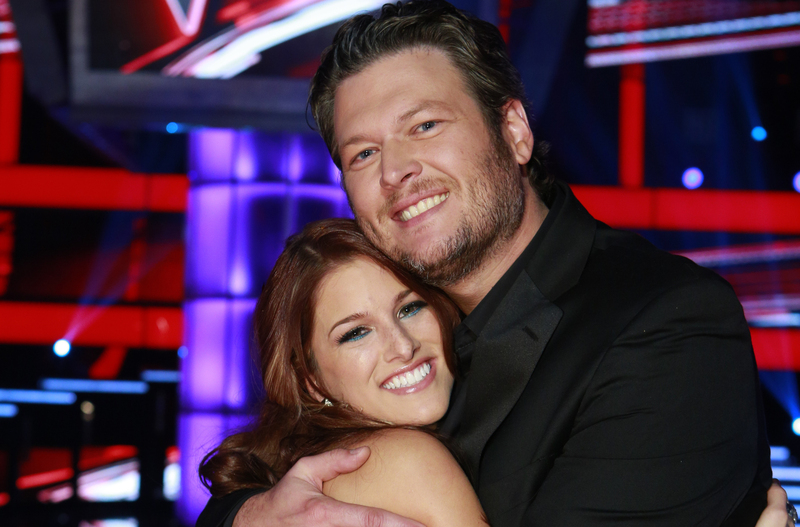 Just look at Blake Shelton and Season 3 winner Cassadee Pope. The former Hey Monday lead vocalist won it all in 2012 after consistently wowing the coaches and audience week after week. Not surprisingly, six years later the country-star still has kind words to say about her coach. "My relationship with Blake after the show was great. He had always kept in touch and I had just won The Voice a few months earlier. Then I was up for a CMT Breakthrough Video of the Year Award," the 28-year-old recently revealed. "I remember seeing Blake go up to present it and I was like, 'If I don't win that's really mean for them to do.' And I did and it was just a cool moment to see him up there. It was a validating moment." Cassadee and Blake at the 2014 CMT Music Awards. And according to Blake, Cassadee has what it takes to succeed in the music industry. Even though she was a pop-rocker, they both felt she had a natural gift for singing country music. "We both went, 'What do you think it was about that? Why did you think that happened?'" he told The Hollywood Reporter. "We all figured out that Cassadee has a gift of telling the story and making people feel what you’re thinking and what you’re talking about. You can't teach somebody that." He continued, "She's magic. She's just a special artist that God gave a little extra to. I wish I could sit here and scientifically explain to y'all what it is about her, but the truth is, none of us can explain it. She's just one of those special people that is destined to be a star." Cassadee was recently nominated for a Grammy Award in 2017 and signed with Fusion Music in January 2018. Watch The Voice on Mondays and Tuesdays at 8 p.m. EST on NBC.